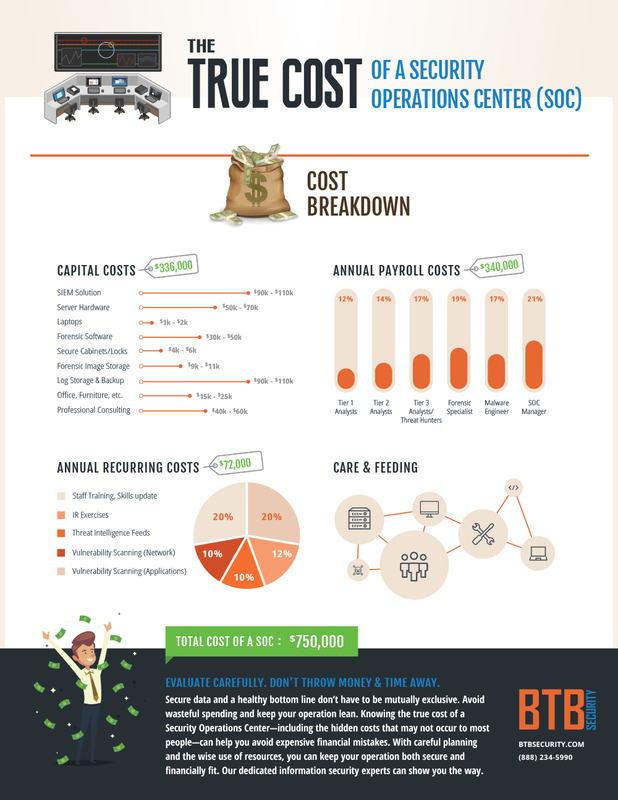 Knowing the true cost of your SOC—including capital, payroll, recurring expenses, and care—prevents wasteful spending and keeps your operation lean. Our dedicated information security experts can show you how careful planning and wise use of resources can keep your data secure and your bottom line healthy—two things previously thought to be mutually exclusive. Now, make an even greater impact with Rapid Advanced Detection and Response (RADAR)—our managed information security service that combines monitoring and detection technology with skilled expertise to accelerate incident response, reduce blind spots, and minimize false positives.